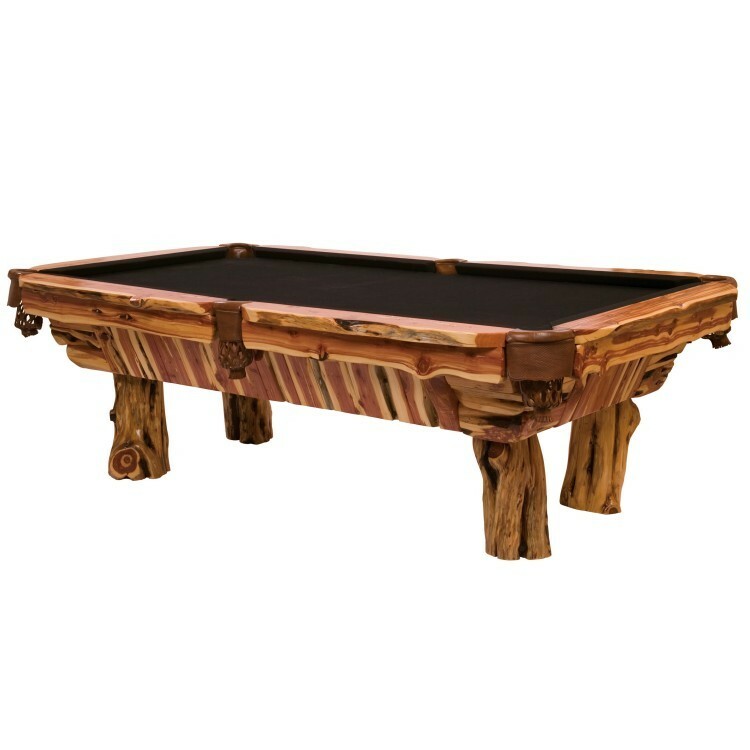 This rustic 8' regulation Juniper log pool table has a 1" thick slate top and hand-sewn leather pockets and for added interest it features tree stump legs. This rustic 8' regulation Juniper log pool table has a 1" thick slate top and hand-sewn leather pockets and for added interest it features tree stump legs. Each table is individually hand crafted and made of hand peeled juniper logs which accentuates its natural beauty and character. 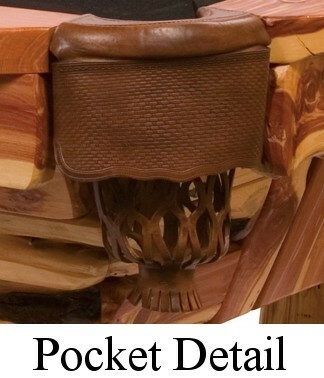 It is also clear coated with a catalyzed lacquer finish for extra durability. Select red or green felt color.